Fitness enthusiasts have the flexibility of attending a variety of fitness classes throughout the week. Drop-in or 10-20 class passes may be purchased at any time prior to class. Reservations for classes should be made in advance online through MINDBODY. You may remove yourself from a reservation up to 4 hours before class without penalty. 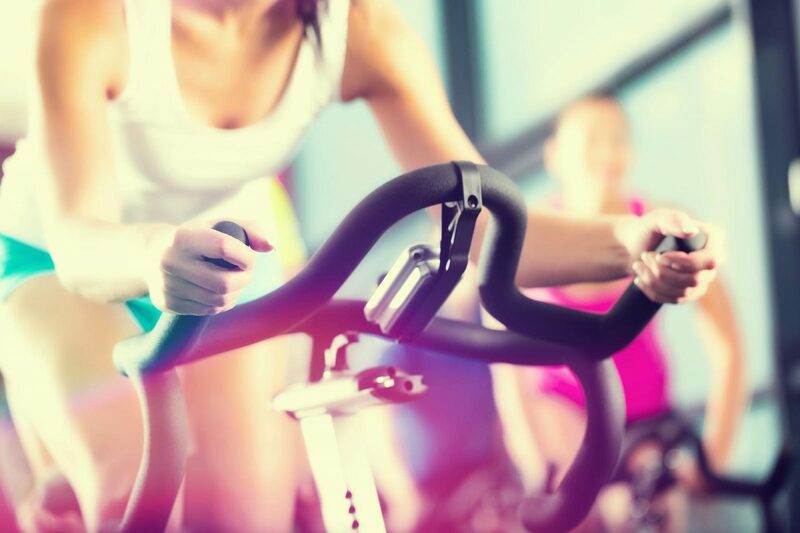 This is a high intensity class focused on interval training using spin bikes, rowers, treadmills, and air bikes. The latter part of every session will be dedicated to core and midline stabilization exercises. This class includes a variety of movements (Asanas) which involve stretching various parts of the body, eliminating tension from mental and physical levels and giving the body vitality and strength. Breathing exercises have a calming effect on nervous system, helps oxygen absorption, increases the lung capacity and reduces stress. Practicing Asana and breathing stabilizes and pacifies body and mind, and develops self awareness on a physical, mental and emotional level. This class will improve flexibility, balance, coordination and agility. Pilates makes the body stronger and leaner through targeting specific muscle groups through body weight and strength. With focus on flexibility, you will see improved balance, coordination, agility, and also prevent injury. You can also expect a heightened sense of mind-body connection, as breath work is an integral part of this training – not only as a method to clear the mind and bring about focus, but also as a tool to engage the core more effectively. The first part of the class is a powerful style of yoga designed to link movement and breath together, but to make you sweat while exhilarating the body and mind. While the second half will focus on Flow/Hatha style of yoga to wind you back down. This class is designed to improve your flexibility and mobility as well as decrease minor aches and pains. Sessions will include a variety of stretching and mobility techniques. Music will be playing and social interaction is encouraged! Fitness is coming! This is your ultimate one hour strength & conditioning workout. Suitable for all fitness levels, each class focuses on the whole body incorporating strength and power training, aerobic and anaerobic conditioning, agility, core strengthening and mobility. Every session is different from the one before but programmed with intent on overall improvement. YOGA always has something to offer you no matter what age, health or disposition, whether you want to increase flexibility, maintain a healthy weight, reduce stress, receive peace of mind and well-being or so many other reasons yoga is here for you.